Jared Meers has played on the Rampage for all eight seasons of its existence — and has been its captain for four — and he has no plans to go anywhere else. 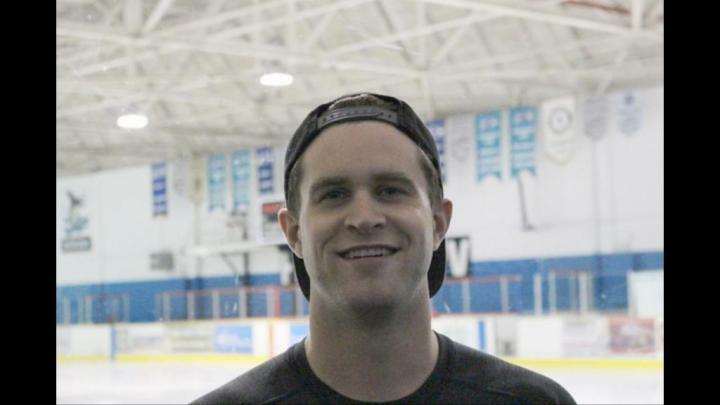 Jared Meers is well known around Prince Rupert, as the captain of the community’s favourite team — the Rupert Rampage. For Jared Meers, his love of hockey has a lot to do with friendships. He is also well known around Prince Rupert, as the captain of the community’s favourite team — the Rupert Rampage. “A lot of the people I play on the Rampage with right now, I’ve played with my whole life. They’re longtime friends,” he said. The born and raised Rupertite has been on the team since day one. When the Rampage were first founded by Frank Pyde in 2009, 19-year-old Meers was there. He is already the most accomplished Rampage player in terms of stats. The 26-year-old is the franchise leader in points (83), goals (44), assists (39) and games played (100). Meers has been the captain for the past four years, something he said is an honour. “I love being the captain and it’s awesome. You get to meet most of the community,” he said. He’s the third captain in Rampage history, following Colt Stava and Chris Brlecic. Eight years in, Meers still loves being a part of the Rampage. Over 22 years of playing hockey, what sticks out in his mind is the provincial championships in 2008. Meers and the Midget Rep Seawolves claimed the title thanks to a 6-1 showing at the tournament in West Kootenay Beaver Valley. The Midgets were a highly offensive team that outscored opponents 46-21 in seven games, finally edging Beaver Valley 5-4 for the championship. “That was the first time anyone from Rupert has won the playoffs. To win there my last year here was lots of fun. It definitely stands out,” Meers said. Some of the players on the championship team still play with Meers on the Rampage, including Jacob Santurbano. A lot of other players have been there the whole time, and it’s those types of friendships that make hockey even more fun for Meers. It’s always been hockey for him. His parents put him in skates and on the ice when he was four-years-old. At that age, it might not have been love at first sight, due to falling all over the place, but it happened along the way. Meers played many other sports growing up as well, including a lot of soccer and basketball, but eventually they just got in the way of hockey for him. “Everything else fell short of it. Hockey was always my number one,” said Meers. Even when you’re doing what you love, there are still difficulties in the job description. For this hockey player, it’s the losing part that is hard on him. “There were a couple years where we were losing more games than I would have liked. I definitely don’t like losing. It’s great that lots of people are coming back,” Meers said. And he’s right. The Rampage attendance — which has always ranked near the top of the Central Interior Hockey League (CIHL) — took a bit of a dive for a few years. The Rampage haven’t matched the numbers they had in its first season (6,700 total; 837 average) but it’s starting to come around again. Last year’s average attendance of 631 was one of the best. This year, there’s been an average attendance of 702 through the first two home games and the team is on pace for its best attendance since its inaugural year. The Rampage players are something of mini celebrities in a city the size of Prince Rupert. The boys are role models for kids in the community. After most home games, several of the players can be found autographing hockey cards for the kids and giving them a positive image of the hockey players they look up to. “It’s great to see the kids love it and we love it and it’s good for growing hockey in this community,” said Meers, who always wants to be right in the middle of every autograph signing, every community event and every packed house. No one thought the team would get this big and that this many people would be such big fans and wanting to know us a team in the community, he said. Meers knows the Rampage players and coaches owe it all to a city that consistently supports them. And Meers isn’t going anywhere.